This article covers advanced topics such as IP addresses, firewalls, and remote networks, along with how they can be hacked by using hacking tools like Ping and Telnet. This article isn’t for noobs. It is meant for those who have already selected a handle and completed modding out their hacker desktop. If you have not already completed these tasks, I highly recommend that you learn how to do so. I know by now that you’re ready to starting hacking servers and people, but there is some prep reading involved. I urge all readers to carefully read through the documents listed below. They contain very important methodologies, strategies, situations, and confessions of real-life hackers. These documents that I’m about to show you are known as sacred documents of the internet. They contain confessions and illegal acts of REAL hackers who know what they’re doing. As stated before, I take no responsibility for what you do with the information provided here. It’s all for educational purposes only! IP stands for Internet Protocols. An IP address is the address for servers and a person’s computer who is connected to the internet. Everyone on the internet has an IP address, and once you find out what it is, you know exactly where they are, and you can begin to hack them. Internet Protocols Addresses are usually made up of random numbers seperated by dots. Every IP address is unique, no one can have the same one. This is why it is very important that you’re careful when typing, you do NOT want to accidentally hack the wrong person/network. Obtaining a target’s IP is address is the first step to prepare for an attack. 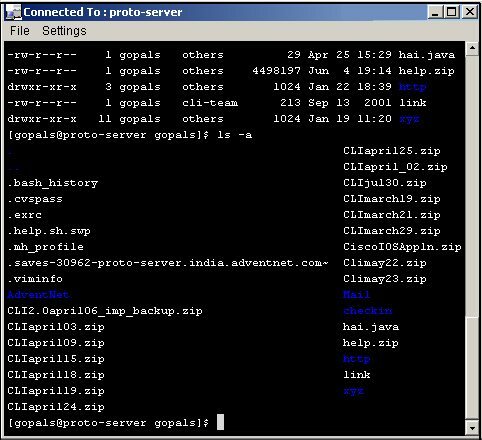 Explained below are methods of obtaining a victim’s IP address. Ping is a tool used to endlessly make requests to a server or another person. It works with both IP address or domain names. Domain names are the addresses that you type in to go to a website. Domain names are easier to remember, which is why the internet was invented. As you see, the hacker here is using Windows XP (a good choice), and in order to get the IP of mediacollege.com, the only thing he had to do was open up a DOS prompt and type in ping mediacollege.com. Upon doing so, mediacollege.com was instantly hit with 4 requests which distracted their server long enough in order for Ping to steal the IP address. If you haven’t heard of Sub7, I suggest you leave now, find out what it is, then come back. Stop wasting my time. If you think you have the skilled mind for it, stick around, and I will introduce you to one of the many essential tools hackers have ready at all times. Sub7 was invented in the late 1980’s by a legend known as Mobman. Mobman wanted to make the basic tasks of a hacker easily accessable and easy to implement. I’m not sure what exactly he programmed it in, but it was probably something extremely difficult and involved, like Visual Basic or A+. I read up on Mobman, no one knows of his whereabouts and some even claim that he is dead (real hackers know better). Either way, we can all thank Mobman for this great program. Sub7 is a R.A.T (Remote Administration Tool) that basically has two parts: a client, and a server. After you have the server installed on another machine, or trick another person into installing the server on their machine, you can use the client to connect to them through network protocols and routes. After you’re connected to them, the client provides you with a series of hacking tools and features to use on your victim. Which, obviously, is the goal of any hacker. Sub7 has made this easy, but the only hard part is having the server installed on the other machine. You can see the official Sub7 website for tactics on how to accomplish this. Sub7 was banned by the United Nations in 1995, but I consulted my many underground resources and found it for you. The last version that was made was Sub7 Legends, and is available for download here. This file is extremely rare, and was very hard to find. I had to download it through KaZaA. Again, as with many things found on this site, the creator of this site is NOT responsible for anything you do with the knowledge or tools found within the site. Everything here is for educational purposes only. If you do not agree, leave now. Telnet is a remote hacking tool that was made by Microsoft. Telnet actually lets you remote into machines, or connect to different computers remotely – WITHOUT physically being at the computer. Hackers do EVERYTHING remote, and for obvious reasons. As a golden rule, hackers NEVER hack directly from their own home/parents’ basement. This makes it really easy for the feds to hunt you down. Instead, skilled hackers remote into a chain of several computers around the world, making your tracks a lot harder to find. This is called footprinting. Telnet will allow you to log into any computer (provided that it’s running Telnet). I recommend running Telnet and having it open on your computer(s). What you’re basically doing is using a series of machines as a chain in order to conceal your location/identity. The farther away each server/remote PC is from the other, the better. If you can remote across to a different continent, I would recommend doing so, because that’s what I do when I hack big company databases. This method is explained in more detail here. While this site provides a lot of information, programs like Sub7, Ping, and Telnet have extensive documentation of their own. If you would like to read up on all of the rich features on Telnet, Telnet.org is your number one resource. If you know of a web site and want to hack its users, Tracer-T is a great way to gather multiple IP addresses at one time. By running it against a web site, you can see who is connecting to it and what their connection speed is (this is important to know). Tracer-T can also provide you with the city that the user is connecting from! Tracer-T comes pre-installed on Microsoft Windows (along with Ping and Telnet). Once you gather the IP addresses of the users and use Telnet to hack into them, you can use their computers to attack the web site with Sub7. You can also use all the computers to ping the server at the same time and bring the site down. This is what is known as a DOS attack since Ping and Tracer-T are ran through the Microsoft DOS command prompt (Start > Run > cmd). Tracer-T is a very powerful program. Combined with Ping and Telnet, it can be used to hack anything – even firewalls. If you noticed so far, all of these programs are pretty lightweight. Hackers must use tools that are readily available at all times, and leave a light memory footprint. We’ve covered remote connection with Microsoft’s Telnet, stealing IP addresses with Ping, and general hacking with the best hacking program available, Sub7. But what if you need to manipulate something on a system that you hack into? Or if you need to program a virus? Are you going to use something as big as Word? That is an acceptable way to do it, but if you want to do it fast, Windows Notepad is the way to go. Along with most hacking tools, Microsoft Windows XP also incorporates Notepad as their basic text editor. It’s available on just about any Windows system, and is more than enough for general file manipulation. The best thing about Notepad is that you can program ANYTHING with it. This entire site’s HTML programming was written in Notepad. This might be hard to believe, but it is true. This is just a basic overview of what notepad is capable of. You are able to edit any file or program, code a virus into it, steal things from it, and so on. For more in-depth information, see the official site, Notepad.org, for file formats, installation, and other useful information. If you have been reading everything so far, you should have a good grasp on the basics of becoming a hacker as well as the various tools and techniques mentioned in the previous sections. It would be best for you to master these tools and get familiar with them. Doing so will build a solid foundation for your future as a hacker. If you’re not too sure about a particular subject or tool, go back and read more about it until you understand. The reason it’s important for you to throroughly understand everything is because you’re going to start learning about real-world hacking. In the upcoming section you’ll be focusing on hacking MySpace accounts. Doing this is highly illegal (and fun), so it’s very important you know your basics before proceding. Mastering the art of using elite tools like Sub7, Ping, Telnet, and notepad is the only way to becoming a true hacker.